** SOLD ** The Historic Horse Ranch is premium Montana Real Estate for sale nestled in the rolling hills of Central Montana about 35 miles northeast of Lewistown. The Ranch is comprised of approximately 25,323 total acres including 22,812 deeded acres plus 2,371 acres of state lease and a small 140-acre federal permit. 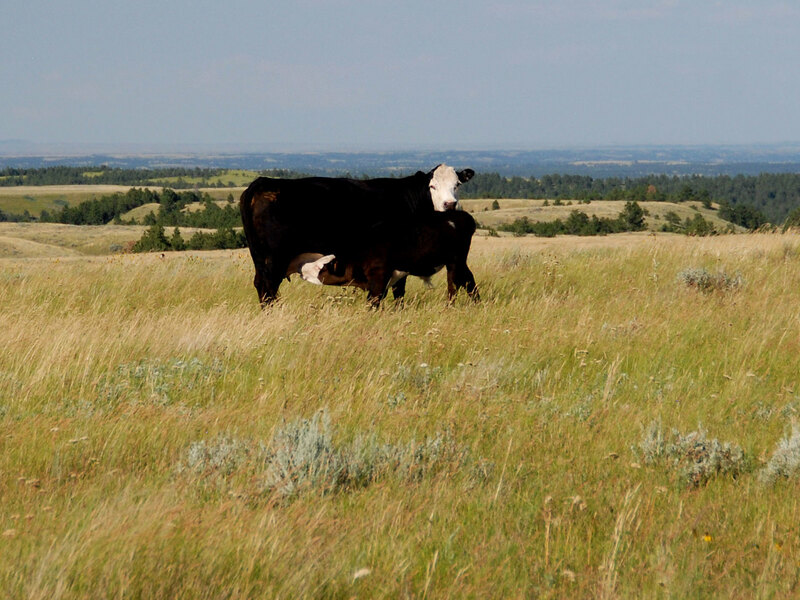 Positioned on the northern side of the Judith Mountain Range, the Ranch is a rare opportunity to own one of the premier blocked-up and contiguous grass ranches in the Big Sky State. 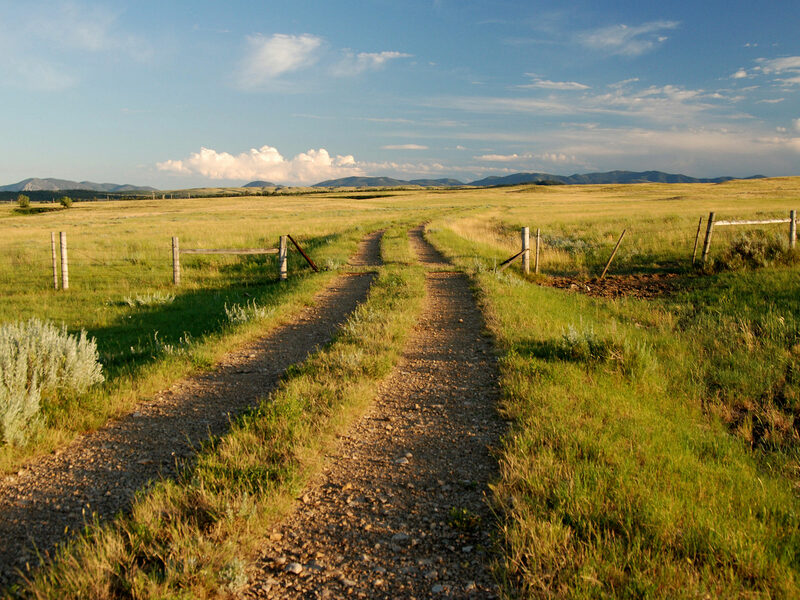 The Ranch is ideally located in one of Central Montana’s most desirable and appealing areas. Lewistown and Fergus County afford all the resources required for successful ranching and personal enjoyment of a safe and quiet lifestyle “far from the madding crowds” of metropolitan America. The Horse Ranch supplied remount horses for the U.S. Cavalry in forts throughout the vast Montana Territory in the 1860s and on into the 1890s. The Ranch was purchased by Vernon F. Taylor in 1947 and held in the Taylor Family until 1963 when it was passed on to his son, James C. Taylor. These visionary men have spent the last 64 years creatively shaping and improving this significant holding. The expansive operation contains sufficient hay meadows and summer pasture to comfortably run 700 to 750 head of brood cows on a year ’round basis plus a full complement of replacement heifers and bulls. Even to the untrained eye, it is apparent that the grazing resource has been managed conservatively. The remarkable condition of this historic ranch is the result of over six decades of masterful stewardship. 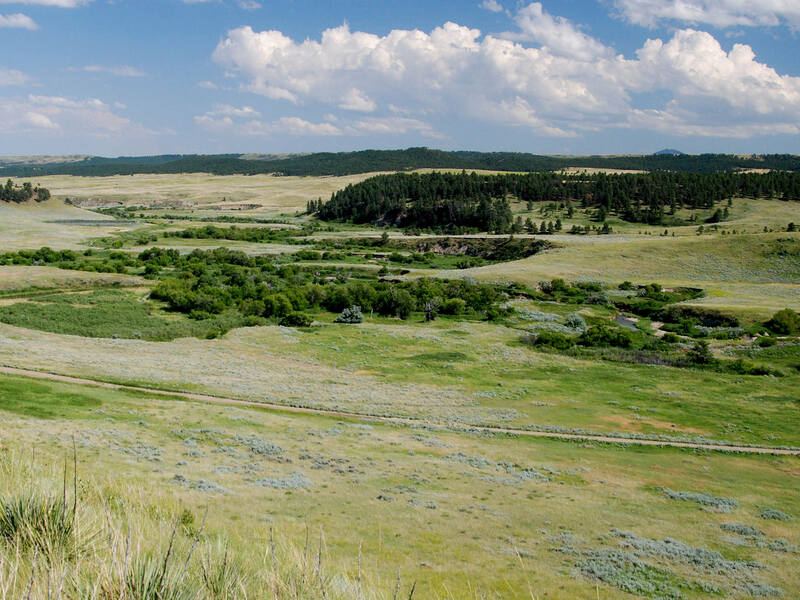 The deep timbered draws and grassy plateaus also provide prime habitat for the resident elk herd, trophy mule deer, antelope, wild turkey and upland game birds including sharp-tailed grouse, pheasant and sage grouse. The Horse Ranch symbolizes a quality opportunity to acquire a true operating ranch with enough size and carrying capacity to make some business sense even in today’s tumultuous economic climate. Prospective Buyers in solid financial condition with an interest in portfolio diversification and a desire to own one of Montana’s true working outfits should seriously consider The Horse Ranch. It is rare to find a large contiguous land holding for sale with such strong operating resources and sense of history. The land that The Horse Ranch encompasses was part of the homeland and essence of life for the American Indians. Evidence of their existence in the area is abundant in the multitude of arrowheads that can be found on the Ranch. The area was a crossroad for the Crow, Nez Perce and Sioux Indians on their hunting and raiding expeditions. The richness of spring creeks, rivers and wild game in the area created an ideal trading ground. In the spring of 1880, James Fergus, his son Andrew and a hired man loaded their wagon in Helena and began their search for new range in central Montana. Fergus, at the age of 67, was certain there was opportunity waiting. Tall grass, good water, plenty of timber and no civilizations with constant worries. There was hay meadows where he could cut all the wild hay he would need. A country already made. All he would have to do would be to occupy it. Businessman – Rancher– Miner– Free Thinker” - page 118. Preparations were made and their livestock was moved from Helena across the mountains to the range north of the Judith Mountains on Armells Creek. Fergus, a highly respected miner, rancher and frontiersman, served as state representative, state senator and delegate to the 1884 Montana Constitutional Convention, and helped shape the frontier of Montana. I have considerable fears that this horse stealing will bring blood before troops will be able to get here should they get such an order. Robert M. Horne, “James Fergus – Frontier Businessman – Miner – Rancher – Free Thinker” - page 132. Several area ranchers, including Andrew, filed complaints with the military at Fort Maginnis in hopes of curtailing the horse thievery, but to little avail. Fergus & Son sold horses to the local cattlemen as well as to the military to provide mounts to protect the cattlemen and their stock from young Indian braves looking to gain respect within their tribes. As Indian threats were joined by other issues such as mavericks, stray cattle and rustlers, the Ferguses joined the Moccasin and Cone Butte Roundup. James was president of the organization, then secretary until 1884. Known as the “grand old man” of Montana, James lived on the Armells Creek property until his death in 1902. Andrew as well as other members of the Fergus family remained on the Ranch until the early to mid-1900s. In 1947 Vernon Taylor purchased the ranch to diversify his oil and gas investments. 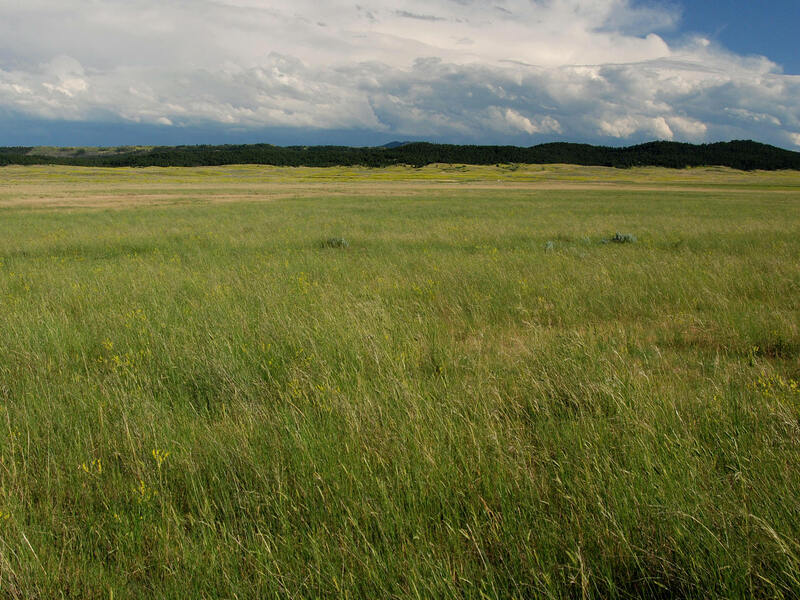 Mr. Taylor purchased the Ranch with the idea of investing in income producing land: his goal being to purchase a quality property in a solid grass region in either Wyoming or Montana. 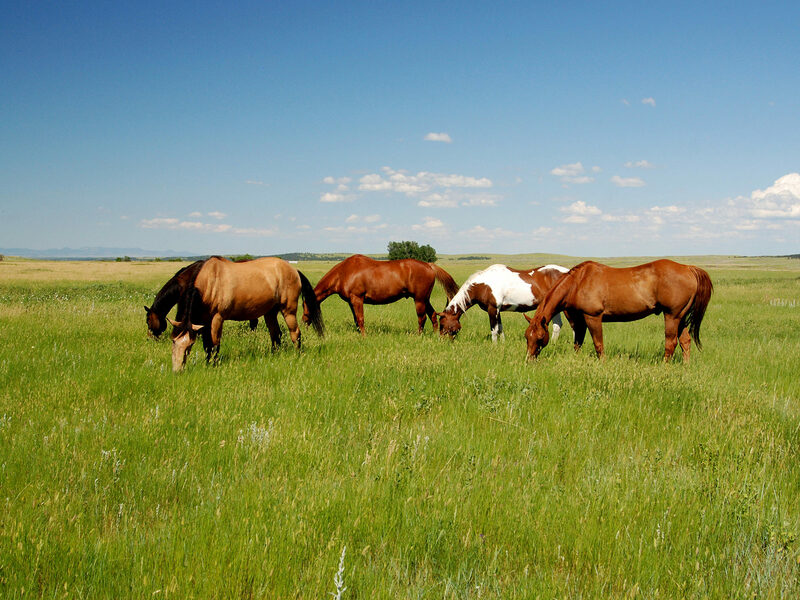 He purchased the core of The Horse Ranch in 1947 and over the course of the next 15 years acquired additional acreages in order clean up fence lines and in-holdings. James C. Taylor, the youngest of six children, began working the ranch in 1948 for his father. Jim, in 1960, began running his family’s Gallatin Valley ranching operation and The Horse Ranch. In 1963 he bought out his family’s interest in the Ranch and has continued his father’s tradition. In this area of Montana during the Cold War Era, the U.S. Air Force established dozens of buried missile silos in Central Montana. One of these buried-unmanned silos is located about one mile from the Headquarters. Air Force personnel routinely monitor the site. The benefit of this site is that the gravel road into the Ranch is exceptionally maintained and kept open during the winter months. There are two private grazing agreements currently in place. Both are with neighboring ranchers where fence lines have been located in more convenient locations due to the geographical constraints. In these cases, land use has been traded for convenience. Both written agreements have been executed and will be available to a Prospective Buyer during a due diligence period. The next owner is under no obligation to continue these agreements. 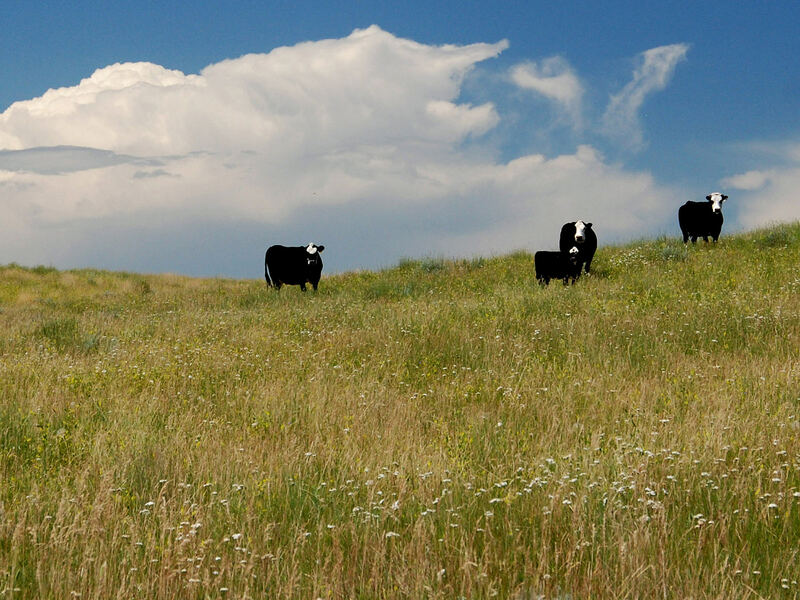 These types of grazing leases are typical of large working ranches in Montana and the entire Rocky Mountain West. They usually transfer with the deeded lands which have been historically associated with them. Generally the deeded lands control access and water, and the leases are considered to have a measurable contributory value based on their AUM ratings. It has been estimated that The Horse Ranch’s State and BLM leases contribute less than 5.00% to its overall carrying capacity. Carrying capacity of The Horse Ranch settles comfortably between 700 to 750 brood cows plus bulls and replacement heifers. Capacity will vary depending upon an operator’s grazing system, utilization of the hay meadows and climate conditions. Cows have been bred to bulls for low birth weight, good gain, carcass scoring and fertility. The average weight for brood cows has been maintained between 1,000 and 1,200 pounds. Most years, winter feeding does not begin until January 1st. From mid-September until January, the cattle are provided a 16 to 20% protein cake supplement with some urea, available as they work the dormant grass left from the summer. In this part of the state, producers typically like to keep about one-and-a-half tons of hay per cow in the stack to get their cattle through the end of April. Heifers begin calving in mid-March, finishing up in late March to early April. The heifers calve out in the hay pastures near the Headquarters along Armells Creek and are only brought into the calving barn if needed. The older cows typically begin calving in early April and finish up in early May. They also calve out along hay meadows east of the Headquarters along the Armells Creek riparian bottoms. After calving the pairs are split into two groups and moved to the improved pastures containing good stands of spring grass such as crested wheat, grama and western wheat grass. Historically one group goes out on the pastures east of the Headquarters and the second group is moved onto the pastures west of the Headquarters. The cow-calf pairs are split into several groups and then rotated routinely between the 26 pastures on the Ranch. Typically, the pastures are only grazed once per year then rested until the following season. Pasture utilization is also dependent on stock water availability at the various times of the year. Pastures grazed in the Spring are rested until the following Fall. Steer calves are weaned in mid-October and have historically weighed between 550 to 600 pounds. The heifer calves are held over through the winter and fed a 16 to 20% all natural protein supplement with a grass hay ration. In April, replacement heifers are selected and the balance of the heifer crop is sold. Heifers typically sell at between 650 and 675 pounds at the Lewistown Livestock Auction or by private treaty. It has been the Seller’s experience that waiting to select replacement heifers in the Spring gives a better sense of the animals’ composition and frame. The rolling timbered hillsides and deep pine-covered draws of Murphy and Burnshed Coulees provide cool shade for cattle during the heat of the summer. The Ponderosa pine stands are in excellent condition and cover about 10% of the Ranch, primarily on the western half of the Ranch. These pastures are predominately utilized during the Spring and Summer months. About 300 acres of border-diked hay meadows produce about 3.00 to 4.00 tons of hay per acre. These meadows are irrigated in the Spring and in good precipitation years, the meadows are watered a second time in July. In addition, about 600 acres of dryland hay ground generates 1.50 tons per acre on an average year. On average, the Ranch harvests about 1,500 tons of grass hay annually depending on precipitation. Most cattle operations prefer to have hay left in the stacks at the end of the year instead of being forced to purchase additional tonnage late in the Winter. With hay prices well over $100 per ton, having hay in the stack is “money in the bank”. The Ranch is exceptionally well watered with stock water reservoirs and stock tanks supplied by seventeen artesian wells. Most pastures are watered with several water sources, which enhance the utilization of the grass resource. 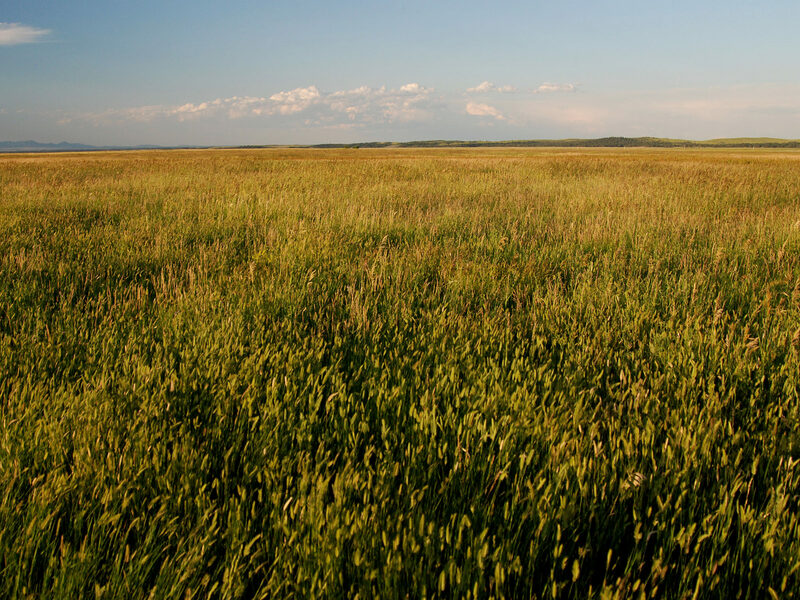 Historically, this region produces reliable high-protein native climax grasses such as green needle grass, western wheatgrass, blue bunch wheatgrass, little bluestem, needle-and-thread, grama and prairie sandreed. The first permanent structure of the Judith Basin was built in 1874 in anticipation of the government plans to designate central Montana as a new reservation for the Crow Indian tribes. This trading post and stockade was named Fort Sherman. Less than a year later, the fort was sold, dismantled and floated down Spring Creek to be reassembled northeast of Camp Lewis – the area that the Army had established to protect the freight outfits traveling along Carroll Trail. Both the route and Camp Lewis were short-lived due to several factors such as inclement weather which halted freight-lines, the attack by a Sioux war party on the Camp, and a large prairie fire which decimated the land. Although travelled through by Chief Joseph and his band of Nez Perce Indians in 1877, the region did not begin to be re-established until 1879 when a group of Metis traveling in their “Red River Carts” began to settle the area that came to be known as Lewistown. Francis A. Janeaux, a French Canadian married to a Metis woman, built a trading post at what is today Third Avenue North and Broadway Street in Lewistown. Many historians credit Francis A. Janeaux, with being the founder of Lewistown. The French Canadian was a licensed trader who built a stockaded trading post on the Big Spring Creek in present day Lewistown. Realizing the need to educate the children of the growing community, Janeaux opened a log school house in 1881. By 1883, the population had grown to a point where the school needed to expand and Janeaux donated a parcel of his own land to construct a framed schoolhouse. Despite the fact that we had to carry guns on our mowing machines hay wagons and everywhere we went, we managed to accomplish the necessary work to keep the ranch going. The cattle industry was becoming a major industry in Central Montana, grass was plentiful and water was abundant – Fergus County was for many years a leading cattle producing county in the Western United States. The Horse Ranch is positioned northeast of Lewistown, the geographic center of Montana. The Ranch can be accessed from Lewistown by driving north then east on Highway 191 for 27 miles, then turning north onto the well-maintained gravel ranch access road for four miles to the southern border of the Ranch, and another two miles to the Ranch Headquarters. From the town of Roy, drive 7.5 miles west on Highway 191, then turn north onto the same road and proceed six miles to the Ranch Headquarters. Roy offers “the closest gallon of milk” and has a post office, an old-fashioned sandwich shop and a convenience store. The County seat of Fergus County, Lewistown, with a population of just over 5,900, offers all the necessary amenities and then some. The town provides grocery and sporting goods stores, clothing and specialty shops, coffee bars, fine dining, arts and crafts, and appliance and furniture stores through the tree-lined streets of the revitalized historic downtown. The Calvert Hotel, built in 1872, provides fine lodging with a historic and elegant ambiance and is in close proximity to downtown, just off of Main Street. Lewistown also offers outstanding educational opportunities through the Lewistown Public School System. In standardized achievement tests, students consistently receive scores well above state and national levels. The Public Schools include three elementary schools, one junior high school and one high school. The Fergus County Golden Eagles are classified as a Class A school by the Montana High School Association. The Golden Eagles are historically very competitive in both interscholastic athletics and academic activities. Exceptional medical care is available at the Central Montana Medical Center (CMMC) in Lewistown, which offers a full-expertise range of physicians and consulting specialty doctors. The Lewistown Municipal Airport (LWT) is located two miles southwest of Lewistown and is served by Newton Aviation, Central Air Service and Gulf Stream International Airline. Built by the U.S. Army Corps of Engineers during WWII, the airfield was utilized to train U.S. Army Air Force airmen in the Boeing B-17 “Flying Fortress” before being assigned to air combat missions in Europe and North Africa. The main runway, 6,100' x 100', is asphalt and is in good condition. There are two additional asphalt runways, one of 5,600' x 100' which is in poor condition, and one 4,102' x 60' which is in good condition. The airport sits at an elevation of 4,170' above sea level and can be contacted on CTAF frequency 123.0 and WX ASOS 118.375 or by telephone at (406) 538-2653. The Ranch is approximately a two-hour drive of two commercial airports in Great Falls and Billings which offer good private FBOs. Commercial carriers at the Great Falls International Airport are Delta, Horizon, United and Allegiant. The Billings Logan International Airport also provides a variety of commercial carriers as well as national and limited international service through Northwest, Delta/SkyWest, Great Lakes and Horizon. There is also a 4,400’ grass airstrip on the Ranch. Although the strip has not been maintained for the past five years, it was used extensively from the 1970s through 2005 for airplanes such as the King Air 90 and Turbo Commander. All improvements on the Ranch, including interior and perimeter fencing, are in very good condition. They are functional so the next owner will not have to assume heavy deferred maintenance expenses. The Owner’s House enjoys a commanding location on a bluff above Armells Creek and looks down over the Headquarters and the Armells Creek corridor. This lovely 1940s house contains five bedrooms and three full baths. It is built to entertain family and friends alike with a newly-remodeled kitchen with newer Kitchen Aid, Frigidaire and Sharp appliances and a walk-in pantry for food supplies. Hardwood floors are throughout with laminate flooring in the kitchen and carpet in the bedrooms. The mud room/laundry room is situated just off the entry. The knotty-pine paneling in the spacious living room area is accentuated by the wood-burning fireplace. The home is very well laid out and tastefully decorated with ranch décor. The Owner’s House and Guest House are on their own well and septic system. The home is heated with a fuel oil furnace with hot water produced from two electric hot water heaters. A new septic system was installed in 2011 and the house was totally re-plumbed in 2010. Although the asphalt shingles are in good condition, the cedar siding does need to be repaired or replaced. Located adjacent to the Owner’s Home, this very well-kept rustic cabin has served as a quiet getaway for friends and relatives visiting the Ranch. This tasteful space has one bedroom, a full bath and a sitting room with wood burning stove. Hot water comes from an electric hot water heater. The Guest House has asphalt shingles and wood-stained siding. Constructed in the 1940s, the Guest House was well built and is in good repair. It also has a 10' x 10' storage area with an exterior entrance to house lawn mowers, hoses and lawn chairs. The Guest House appears to be in good condition. This house is a roomy one-level rancher with two good-sized bedrooms, a very large master bedroom, and two full baths. The living room is open and spacious with a wood-burning fireplace, a very attractive custom wood mantle and built in bookshelves on each side of the fireplace. The kitchen has ample storage and contains Maytag, Crosley and Kitchen Aid appliances. A large utility room adjacent to the kitchen is used for housing a second refrigerator, the mud room and pantry. The dining room area boasts a large cookhouse dining room table for feeding large work crews during shipping, branding and haying. A 40' x 8' covered porch wraps around two sides of the house providing shade from the sun for a comfortable outdoor living area during the summer months. The house is primarily heated with a propane furnace supplemented by electric heat in several of the bedrooms and bathrooms. A carport on the side of the house is large enough to shelter two pickup trucks. The Manager’s House has asphalt shingles which appear to be in good condition and Masonite siding. The house appears to be in very good condition. A 1,000-gallon propane tank serves this house. The one-room one-bath guest cabin does not contain a kitchen, but is fully-carpeted and has been used for friends and relatives of the Manager visiting the Ranch. It is not heated and uses a gas hot-water heater. This house has Masonite siding with a tile roof which needs replacement. It is functional but in need of some repair and is in fair condition. The two-bedroom one-bath hired man’s house also contains a separate utility room that is used for food storage and a laundry room. A good-sized enclosed front porch has served as a mud room for boots and coats and has kept the house clean and in good condition. The kitchen has newer Amana and Maytag appliances with a linoleum floor. The balance of the house is carpeted. The house has Masonite siding with asphalt shingles. The shingles need replacing, but overall the house appears to be in good repair. A 1,000-gallon propane tank serves this house. The building has historically been used to house additional cowboys during busy times of the year. It is also served as a recreational hall for the cowboys to enjoy a game of poker and relax. It is a one-room building with a full bathroom and has housed up to eleven people. Currently it is used for storage, but could easily be transitioned back to its original purpose. It also has Masonite siding and an asphalt shingle roof which needs replacement. Overall it appears to be in good condition. Note: Each of the houses is on an individual septic system and all functional. Each of houses is also on a separate electric meter with Fergus Electric Cooperative. An artesian well fills two 600-gallon cistern tanks which serve the houses’ pumps and also provide the corrals with livestock water. The front half of this 100' x 50' steel structure contains a concrete floor with a 22' x 18' electric roll-up door to accommodate large equipment. It is insulated and heated with a wood stove and an electric forced-air heater. Complete with 220-amp power to run welders and large air compressors, the shop is well laid out and very functional. The back half of the shop is not insulated or heated and has a dirt floor. It is used for equipment storage and storing salt and mineral for the cattle. Accessing this portion of the shop is by an 18' x 18' electric roll-up door or an 18' x 18' sliding door. This structure is in excellent repair. The two-stall garage is 30' x 36' and made of galvanized metal with a concrete floor. Two 14' x 14' roll-up doors access the garage which is insulated and heated with propane forced-air and electric coils in the concrete floor. The garage is in good repair. This dirt floored equipment building is 16' x 50' with two 14' x 12' double sliding doors for drive-through access. It is in good repair and has power and lights. The 18' x 30' storage shed has a wood floor, wood siding and a tin roof. It has been used for storing lawn mowers and other miscellaneous pieces of equipment. It has power and lights and is in good condition. The 50' x 30' galvanized tin shed has 10' x 10' sliding doors on either end for drive-through access, and a dirt floor. This building has been used for storing fencing supplies and equipment. It is in good repair and also has power and lights. The working corrals are thoughtfully designed and very functional, comprised of several large holding pens which can hold large numbers of cattle, and have conveniently placed stock tanks around the perimeter. The Pearson Squeeze Chute and palpating gate is fed by a curved crowding alley. The sorting alley feeds well into the holding pens, the crowding alley and the scales. Most pens are accessed by 10' Powder River steel gates. The 20,000-pound Fairbanks-Morse beam scale holds about 15 large calves at a time. It is completely enclosed with a clean out pit and has been certified each of the past ten years, including 2011. The historic barn was once the Fergus Schoolhouse before it was moved to the Ranch by Vernon Taylor. The barn has good bones and contains five horse stalls and a good-sized tack room. The school marm’s living quarters in the upstairs of the schoolhouse have been converted to a hay loft. The 72' x 28' calving shed is located just east of the Headquarters, close to Armells Creek. It contains 11 calving jugs, an insulated hot room heated with propane and a head catch. It is a steel sided building with steel girder construction and 12-foot sliding doors on either end. Near the calving shed is a small cake shed which is functional and in good repair. An additional seven calving jugs are situated in a three-sided pole-barn building off of the calving shed. A set of working corrals, sorting alley and large well-designed holding pens are positioned just off of the calving shed and all are in good functional condition. Situated in the center of the Ranch near the Cottonwood Creek drainage, the weaning corrals are in excellent repair and contain a squeeze chute for vaccinating and branding cattle. The corrals are well designed for efficiently sorting cattle with an alley system and several good-sized holding pens. Well-positioned wind breaks shelter cattle from fall storms at shipping time. The sorting corrals are located on the east side of the Ranch and east of the Fish Pond. They are typically used for sorting cattle as well as a location to doctor sick cattle without trailering them clear into Headquarters. These corrals are in very good condition and several of the holding pens have access to stock tanks. The Horse Ranch controls an extensive number of stock water rights on seasonal streams, stock ponds and artesian wells. 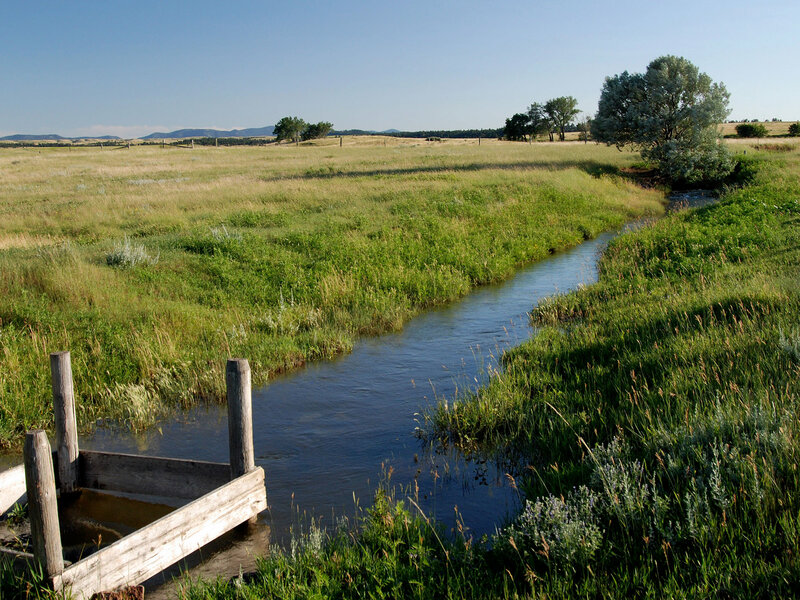 A complete list of Stock Water Rights is available upon request through our Bozeman Office. The Ranch owns solid irrigation water rights with very good priority dates. All water rights appurtenant to and for the benefit of the Ranch will be conveyed to the Buyer at Closing of a Sale. Ranches in this area are currently going through re-adjudication with the Montana Water Court, and as a result of that process, some water rights may be changed as to validity, amount, priority date, place of use and any other changes the Court determines to make. The Seller has made all filings currently required and will transfer the water rights as they currently stand with no warranty of future viability. The Seller will convey with the Ranch all mineral, oil, gas, geo-thermal, hydro-carbon and gravel rights which they own with the Ranch, subject to reservations by previous owners. They make no representation as to the quantity or quality of any mineral or other subsurface rights appurtenant to the Ranch. There are no mineral leases currently in existence. The real estate taxes for 2010 were approximately $18,700.00. Electricity is provided by Fergus Electric Cooperative in Lewistown. Phone service is provided by Mid-Rivers Communications. Cell service with Verizon Wireless and Mid-Rivers Communications is available at certain locations on the Ranch. All of the propane tanks are leased from Lewistown Propane. Fuel Tanks – Fuel is provided by GS Oil in Lewistown, and the fuel tanks are owned by the Ranch. The Horse Ranch sits between 3,150 and 3,975 feet above sea level. Situated between the Judith Mountains to the south, the Bear Paw Mountains to the north and the Highwood Mountains to the east the Ranch experiences a dry continental climate with long, cold, dry winters and short, warm, wetter summers. The average annual precipitation is approximately 10 to 12 inches of rain with the majority of the precipitation between April and June. The area’s average growing season is approximately 150 days starting in mid-May continuing through mid-October. The average maximum Fahrenheit temperatures in June, July and August range from 77 to 85 degrees. In December, January and February, average maximum temperatures are between 32 and 38 degrees. Summer nights average about 47 degrees with winter average minimum between 8 and 13 degrees Fahrenheit. This is an area that receives a good amount of sunshine throughout the year. In close proximity to the Ranch are some of the most unique and desirable recreational areas in Montana. Both the Upper Missouri River Breaks National Monument and the Charles M. Russell National Wildlife Refuge provide a plethora of plants and wildlife, unique geological features and historical and cultural facets. The recreational opportunities available are almost unlimited and are enhanced by the 149-mile stretch of the Upper Missouri National Wild and Scenic River which flows through the Monument and the Fort Peck Reservoir at the northeast end of the Refuge, both offering a wealth of boating and fishing opportunities. Over the decades elk have migrated from the Refuge and the nearby Judith Mountains to the timbered hillsides and lush pastures of The Horse Ranch. The proximity of the Ranch to these two elk-rich areas has brought a strong genetic line to the Ranch’s current resident herd. The Horse Ranch provides excellent big game and upland game bird hunting within its boundaries and is located in Hunting District 417 as determined by the Montana Fish, Wildlife and Parks. Hunting has been allowed on the Ranch by permission only. Most years up to twenty-five permission vouchers are issued to archery and rifle hunters to harvest an elk. Currently there are no hunting leases in place nor are there any agreements with area hunting guides. The diverse ecosystem of the Ranch supplies prime habitat for several good-sized herds of elk, as well as mule deer, mountain lions, lynx and antelope. A great variety of bird species inhabit the Ranch in significant numbers. Pheasants, sage grouse, sharp-tailed grouse, wild turkey and predatory birds make their home on the Ranch. The draw for elk and deer licenses is by June 1st and the purchase of Deer License B begins August 8th. Please see the Montana Fish, Wildlife and Parks website for specific regulations and details at http://fwp.mt.gov/hunting/planahunt/default.html. The dark timber located on the western and southern portions of the Ranch harbor several large herds of elk. World class fly-fishing can be enjoyed from the multitude of spring creeks, rivers and lakes in the region. 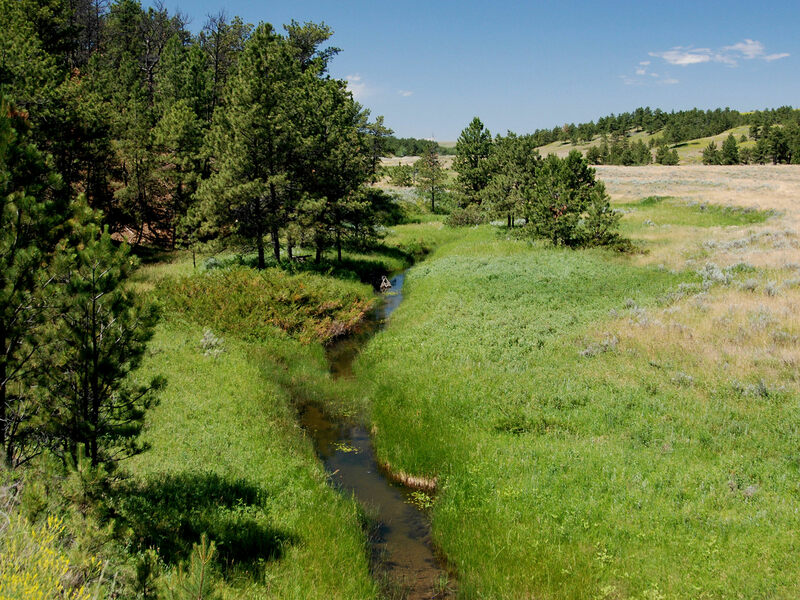 Venturing off the Ranch, one need not go far to experience blue-ribbon waters of the stunning Big Spring Creek which flows through Lewistown and sustains a strong population of rainbow and brown trout. Big Spring Creek is one of the largest fresh water springs in the United States. It originates southeast of Lewistown and provides devoted anglers with 26 miles of pristine water to enjoy. Complete inventories of machinery, equipment, hay and cattle can be provided by Michael Swan in the Bozeman Office on a confidential basis after a Potential Buyer’s preview of the Ranch. These chattels may be purchased at fair market value by a separate bill-of-sale. All cattle handling equipment (i.e. panels, squeeze chute, scales, etc…), household fixtures (i.e. appliances and drapes) are included in the sale of the Ranch. A complete list of available personal property may be provided to serious prospective buyers. The Horse Ranch represents an unusual opportunity to acquire a genuine operating ranch with enough size, scale and carrying capacity to make some business sense even in today’s tumultuous economic climate. 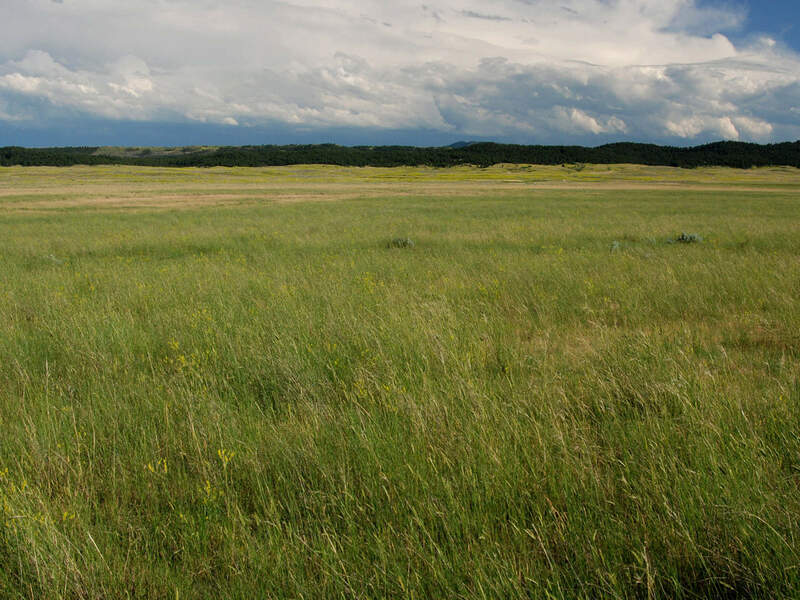 The Ranch is ideally located in one of Central Montana’s most desirable and appealing areas. Lewistown and Fergus County afford all of the resources for successful ranching and enjoyment of an unsullied lifestyle “far from the madding crowds” of metropolitan America. The Ranch is in fine operating condition with quality, well-conceived improvements. The pastures are in superb condition. In managing the grass resource, every effort has been made to carry over ample feed for the following grazing season – a testimony to the conservative grazing practices of the Seller. Prospective Buyers in solid financial condition with an interest in portfolio diversification and a desire to own one of Montana’s true working outfits should seriously consider The Horse Ranch. It is rare to find a large contiguous land holding with such strong operating resources and sense of history. The success of many Central Montana ranches hinges on the quality and quantity of grass. One of the key components making this ranch so attractive to a rancher is the combination of a good hay base, ample spring pasture and solid summer pasture to carry cattle through all seasons. The hard grass country of Fergus County has traditionally generated solid weight gains at a low cost. The full recreational aspect of the Ranch has yet to be capitalized on. 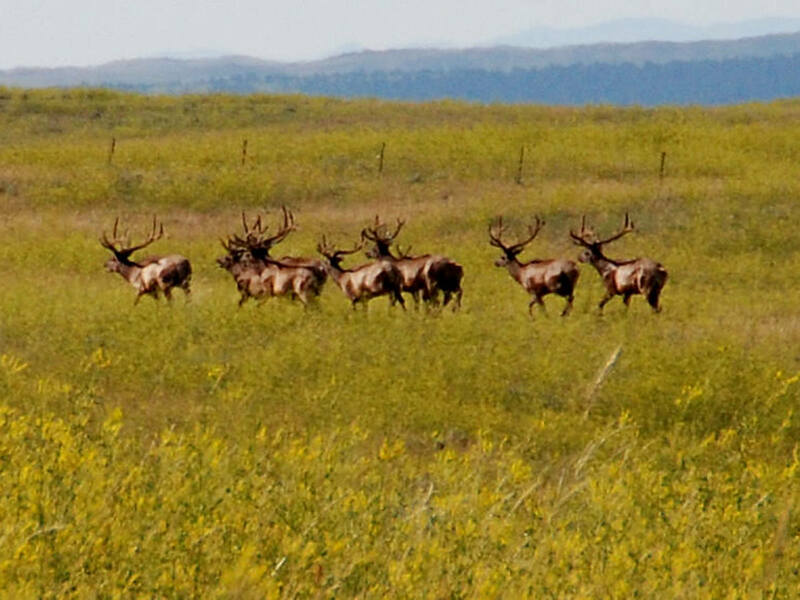 An owner may choose to engage a local outfitter to enhance and expand the elk and mule deer hunting component of the Ranch. 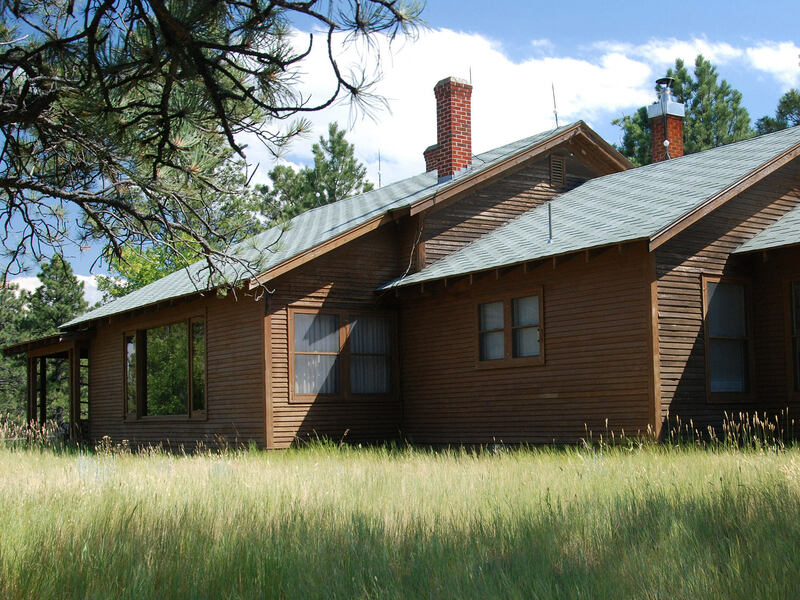 One of the ranch homes could easily be converted to a bunk-house for hunters searching for elusive trophy bulls and bucks that proliferate on the Ranch.